PROMOTIONAL MATERIAL ONLY NOT FOR RESALE. Mt. Waxenstein, Bavaria. Part of the Zugspitze range in the Germany Alps which is also Germany's highest Mountain. 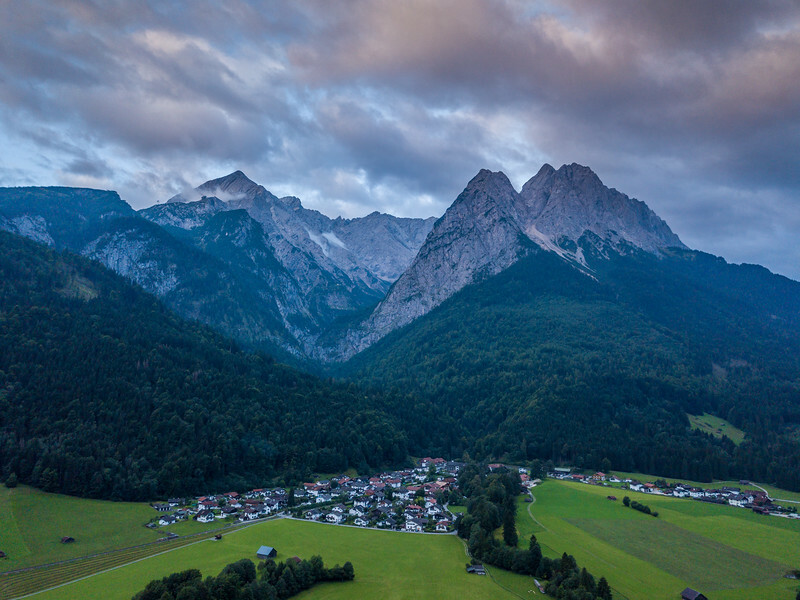 Taken by DJI Mavic Pro Drone looking over the Hamlet/Village of Hammersbach in the Grainau area.